Spring, summer, fall and during the winter when roads are dry. 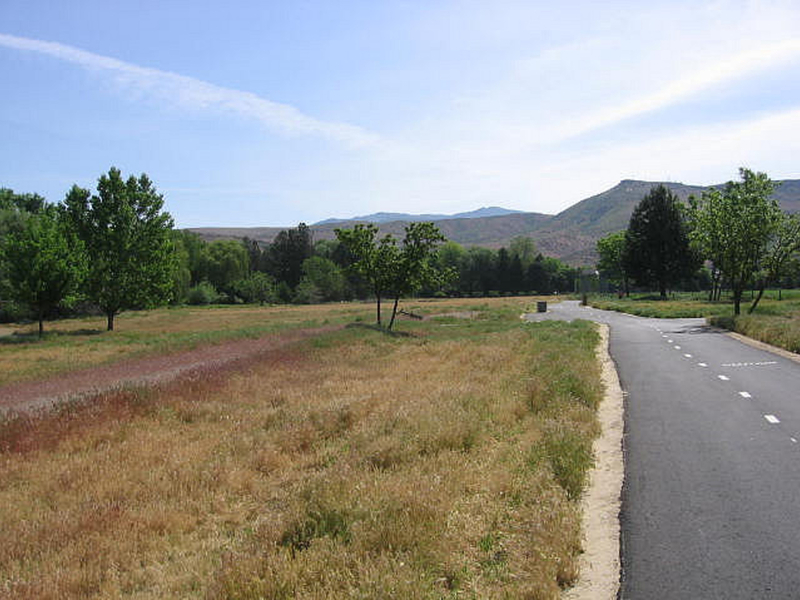 A classic, moderate road ride, the entire route to Lucky Peak Dam is on the Boise Greenbelt for a traffic-free ride. Though the Greenbelt is heavily used by other riders, walkers and runners, once you’re a few miles into the ride and past Municipal Park, recreational “traffic” decreases allowing your pedaling cadence to ramp up. Starting in in Boise, hop on the Greenbelt from the most convenient entry point. One easy entry from downtown is off of 8th Street behind the Boise Public Library. Go left heading southeast, riding alongside the Boise River through shaded Julia Davis Park and Municipal Park. Riding along the river on hot summer days always feels significantly cooler, offering a refreshingly cool break from the heat. Continue on through Warm Springs Golf course with expansive views of the foothills to your left. After crossing Parkcenter Blvd the Greenbelt will be mostly exposed to the sun and will remain so all the way to Lucky Peak Dam. You’ll want to have ample water with you as at this point. Just before crossing under the intersection with Highway 21 at approximately 9 miles, the trail meets back up with the Boise River. The ride continues towards the Discovery Picnic Area and the Dam below the steep columnar basalt walls of the Black Cliffs to the left and the Green Cliffs to the right. Watch for climbers reaching towards the sky on columns. 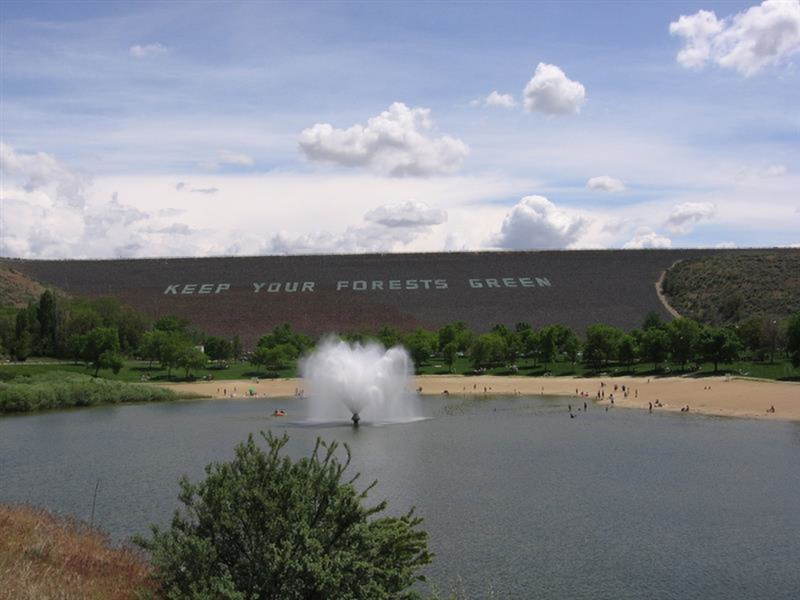 Ride through the Discovery Picnic Area at the 11-mile mark and continue a short distance to the base of the dam. Turn around here, or if you want added challenge, ride out to join Highway 21. Ride with highway traffic up the steep hill, taking the right hand turn at the top of the dam and turn around at the Barclay Bay Picnic Area. If you have time on the way home, stop at Ben’s Crow Inn shortly after the trail turns north leaving Highway 21 and rejoining E. Warm Springs Avenue for a cold beer or lemonade and a bucket of clams. As we mentioned previously, the first few miles are a little busy, but once you get through that, it's smooth sailing if you're looking to pick up some speed! And you don't have to deal with traffic, which is a big plus. A few words of caution: keep an eye out for nasty goatheads along the trail and come well prepared to fix or change a flat. Also, keep an eye out for the sinkhole along the Highway 21 portion of the trail. Greenbelt bike traffic may occasionally be diverted during repair work.